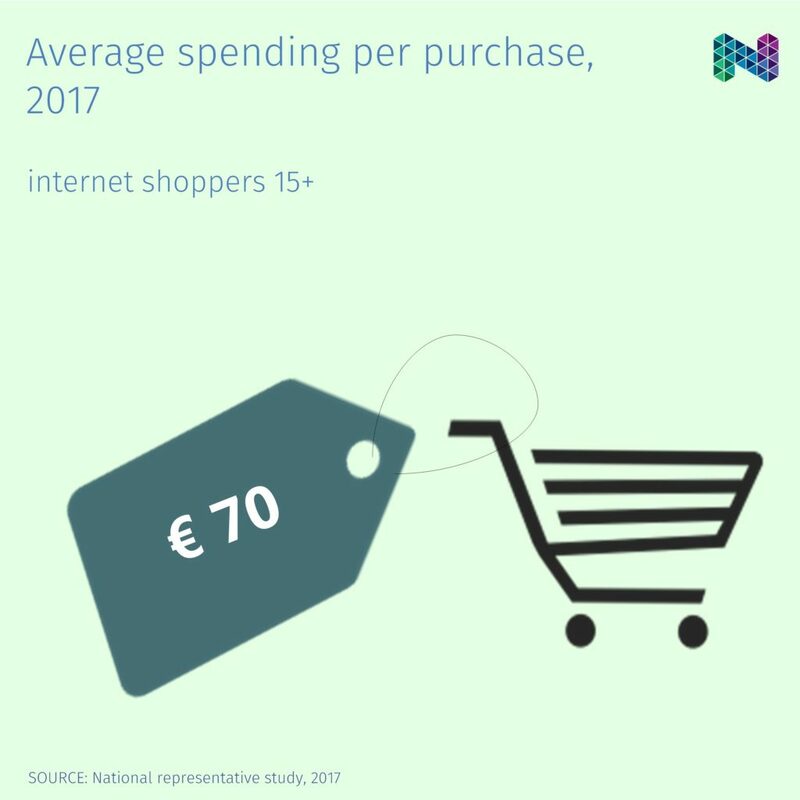 [ digital ] average spending per purchase, 2017 Garments & shoes lead the list. 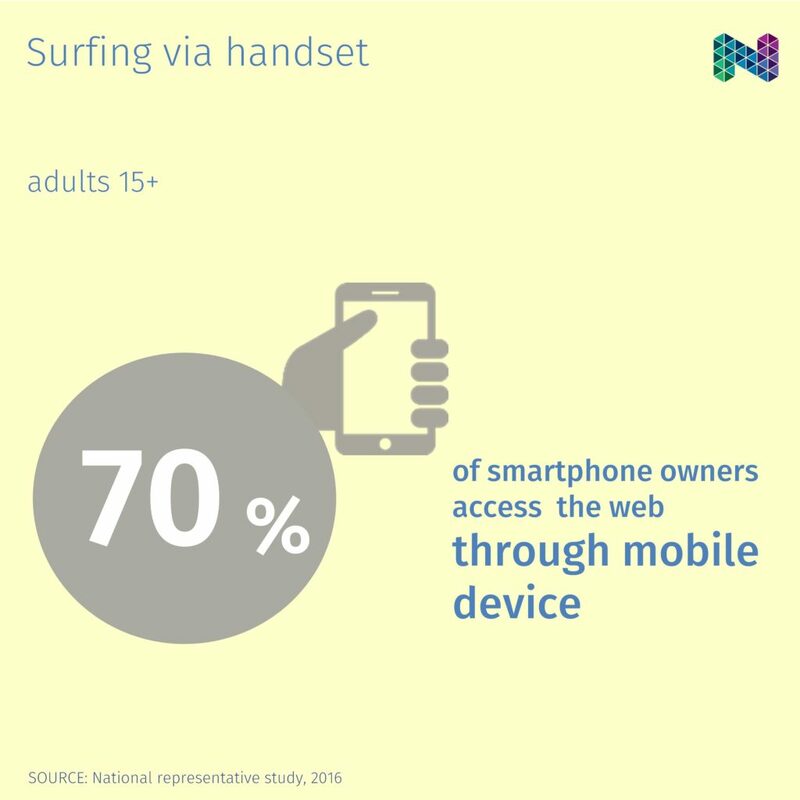 [ digital ] surfing via handset 46% of adults over the age of 15 possess smartphones in 2016. 70% of them surf in internet through their device. 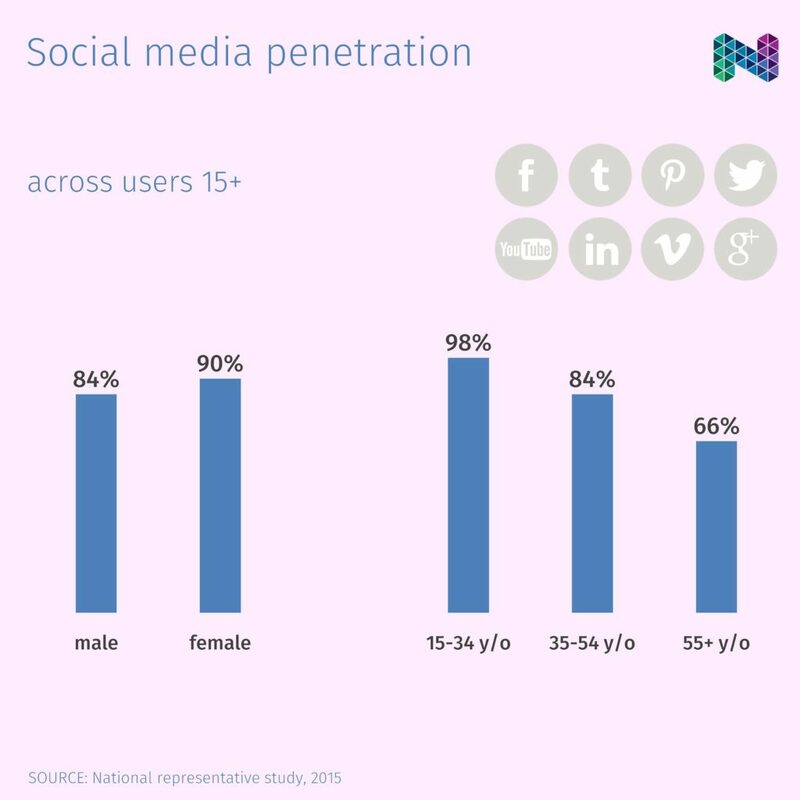 [ digital ] social media penetration Practically, all youngsters (15-34 y/o) are present in the social networks. 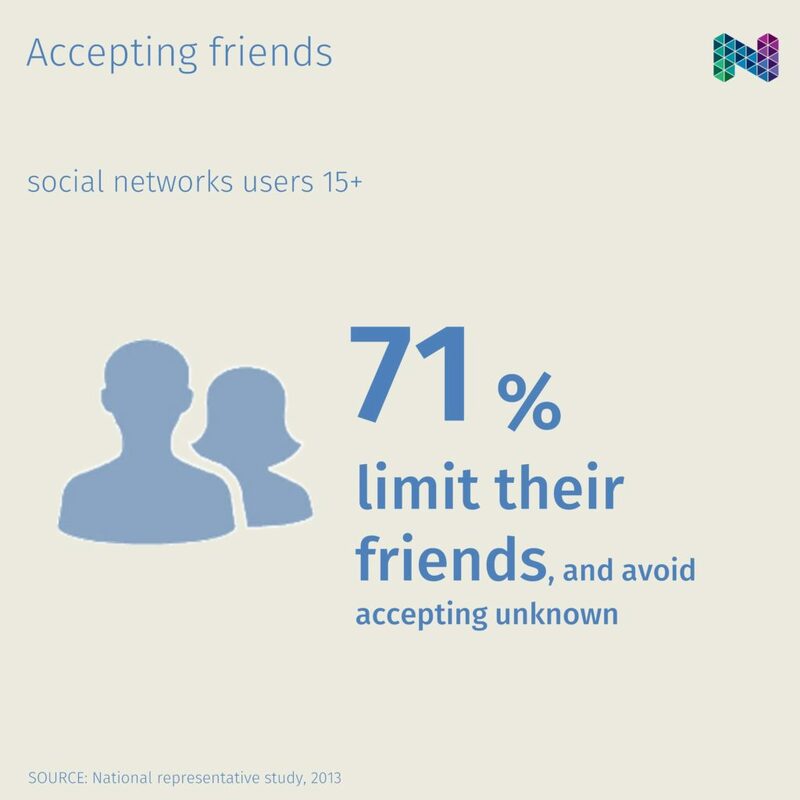 [ digital ] accepting friends 7 of 10 limit their friends in social networks, avoiding to accept unknown people. 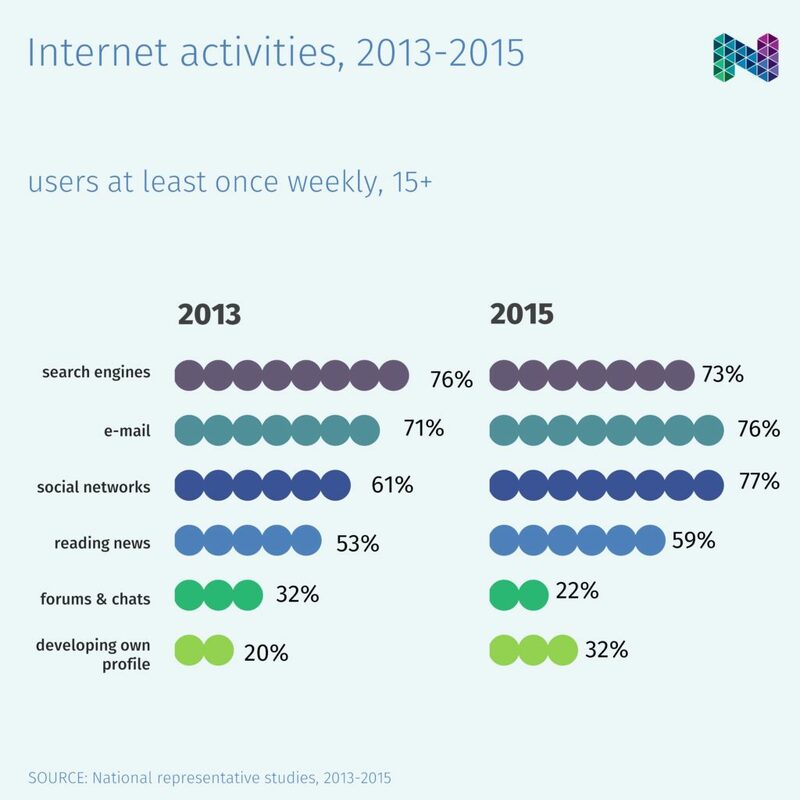 [ digital ] internet activities, 2013-2015 In 2015, social networks play significantly more important role than search engines, and rank first among main activities, compared to 2013. 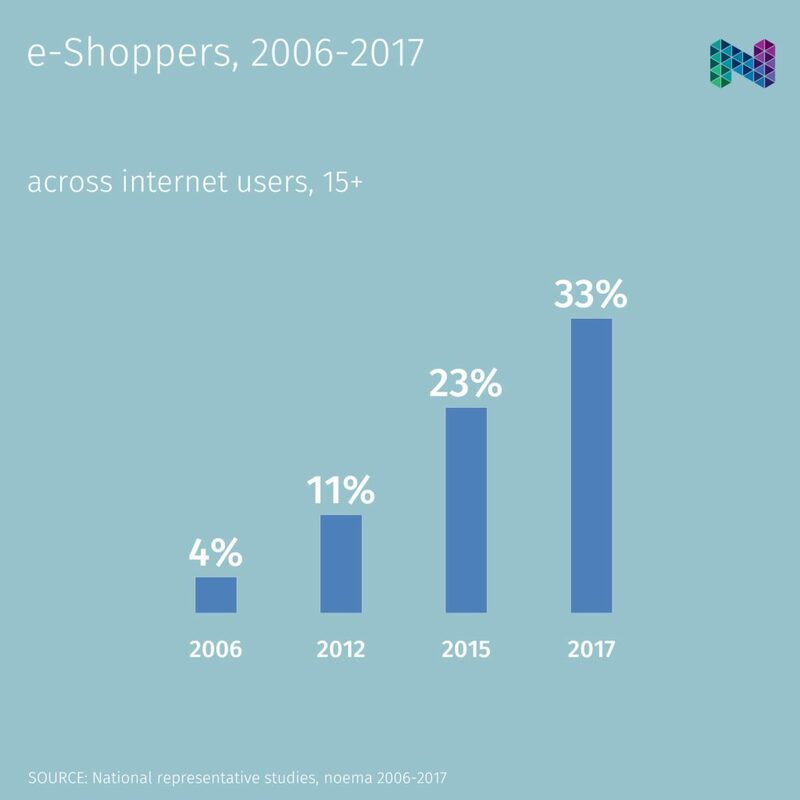 [ digital ] e-shoppers, 2006-2017 After a slow growth between 2006 and 2012, the share of e-shoppers doubled between 2012 and 2015, and continued to increase rapidly until 2017. 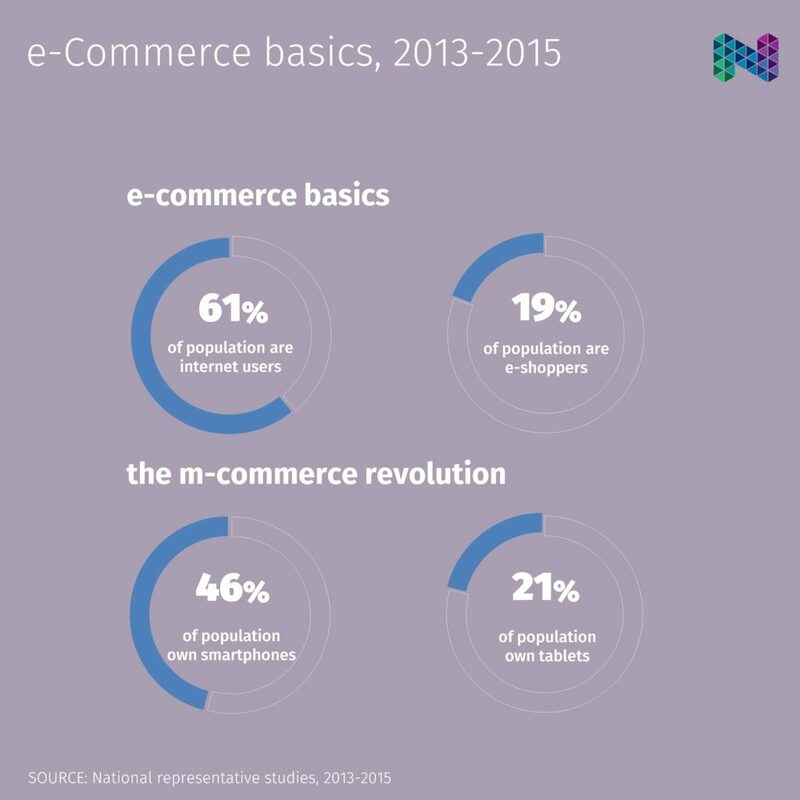 [ digital ] e-commerce basics, 2013-2015 Tablets usage across population has increased dramatically in just less than two years (2013-2015), amounting at 1,3 million in 2015. 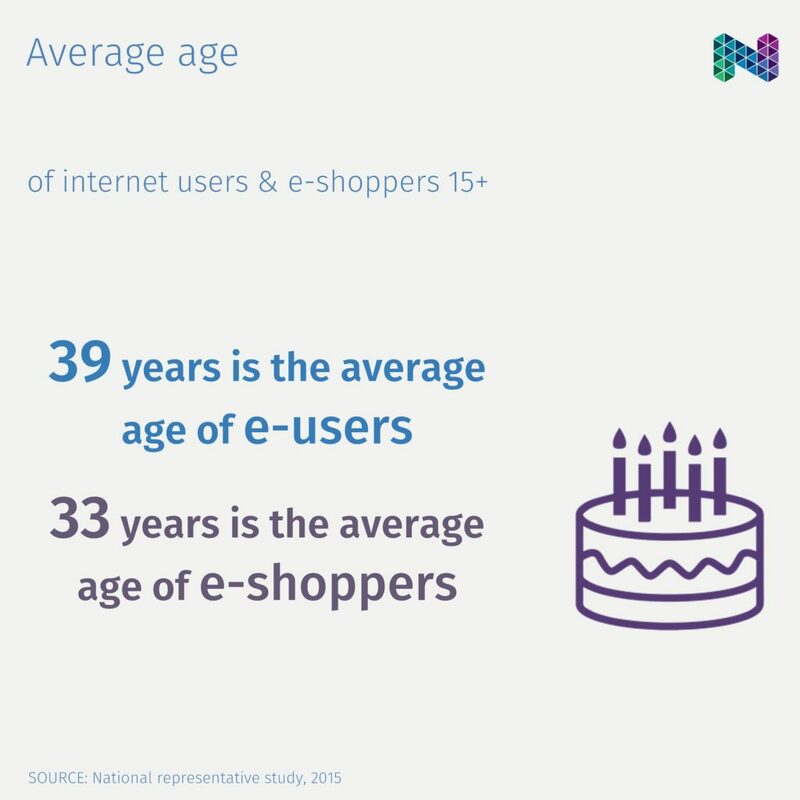 And, the tablet is often used by all members of […] [ digital ] average age E-shoppers are significantly younger than e-users in 2015. 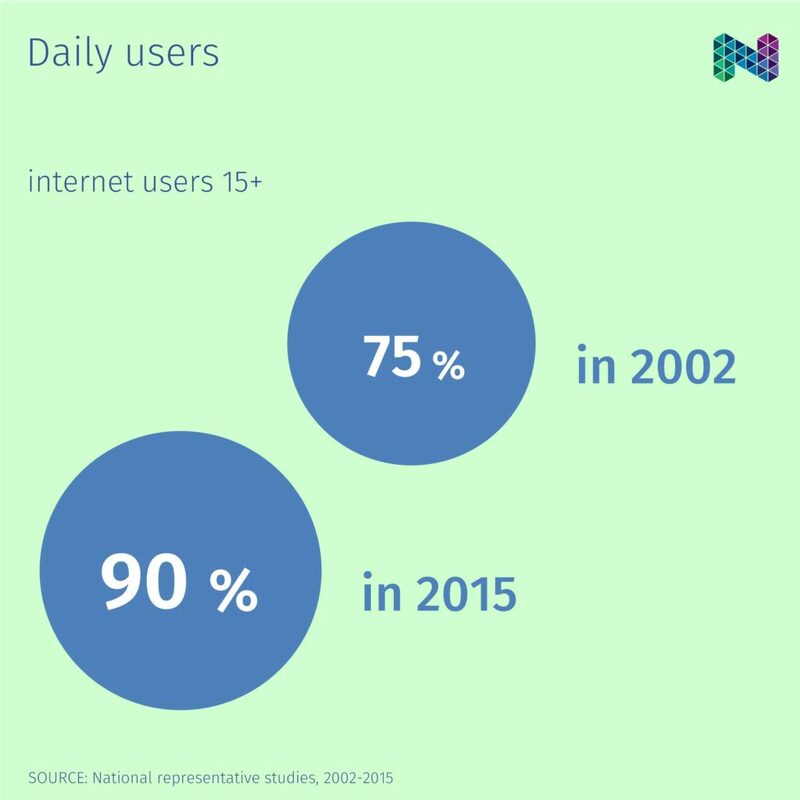 [ digital ] daily users 3 of 4 are daily users in 2002, while 9 of 10 surf on a daily base in 2015. 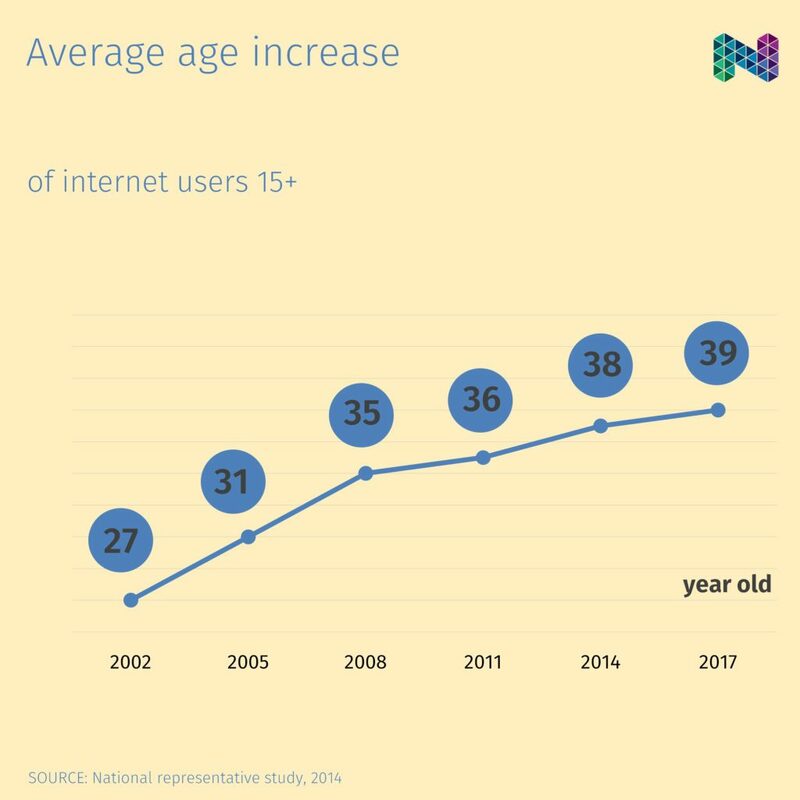 [ digital ] average age increase The average age of internet users has been constantly growing, getting closer to the average age of population. 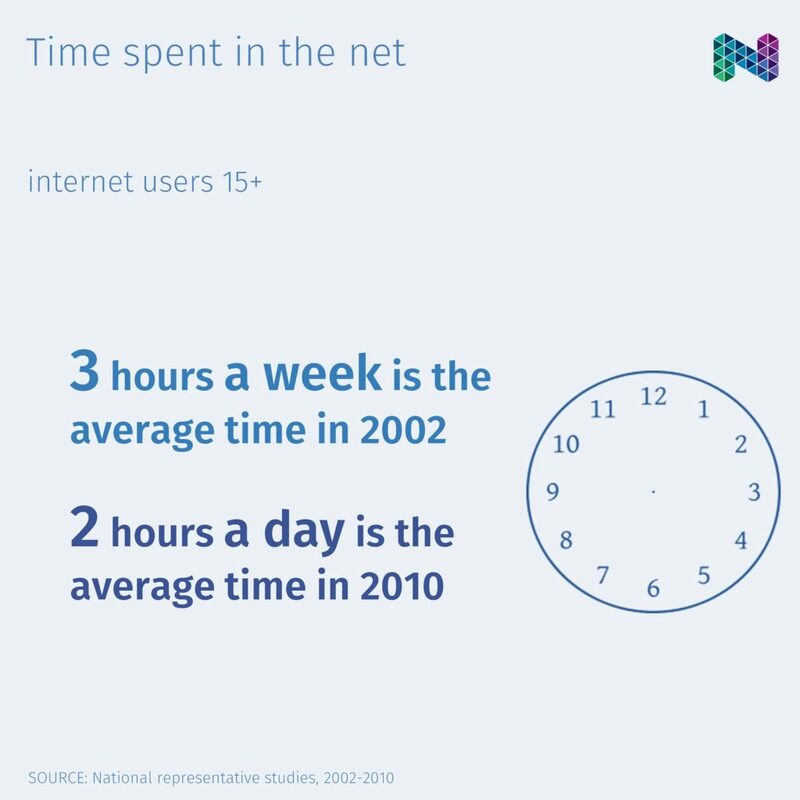 [ digital ] time spent in the net 14 times has increased the internet time of users between 2002 and 2010. 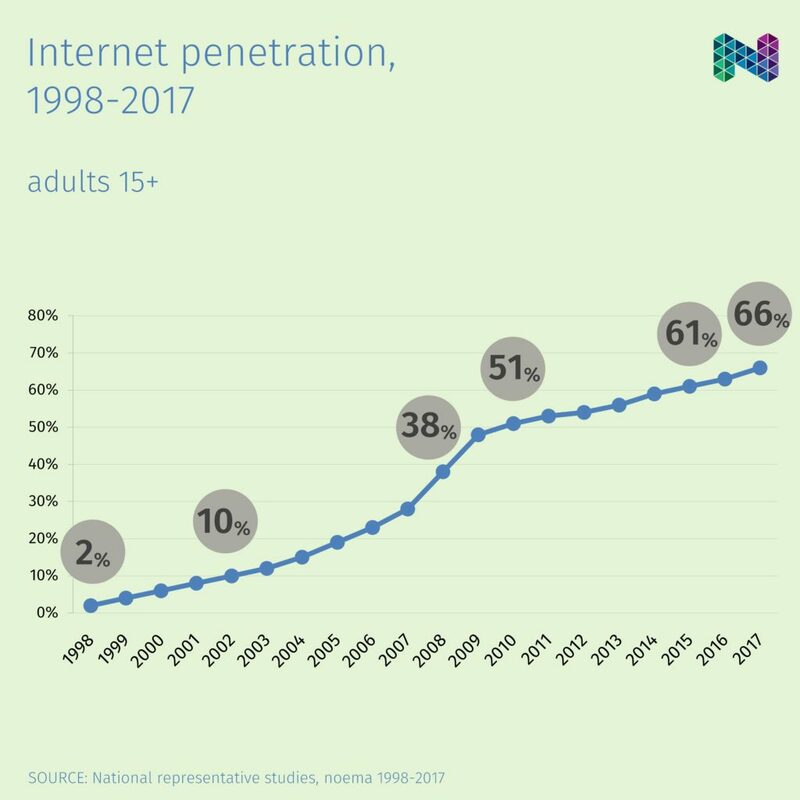 [ digital ] internet penetration, 1998-2017 Over 2 times is the increase of penetration in the period of 2006 and 2009. Then penetration slows down its pace, to speed up again after 2015.